After a series of fatal accidents, an old factory in downtown Salt Lake closed its doors forever. We've opened them again, only to discover that the factory was abandoned for a reason. 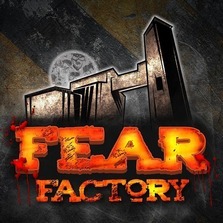 This Halloween season, explore the Fear Factory - Utah's only haunted Haunted House. Your Ultimate Halloween Package comes with 1 VIP BOGO to Fear Factory when you purchase 1, giving each family 1 free ticket to explore the hauntings at Fear Factory!